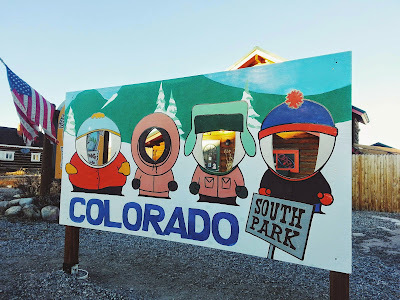 Somewhere on our way back home to Grand County, Colorado, piled tight in an aging Ford Freestart bearing YMCA logos on either side of the front doors, sits South Park, Colorado. Of course, we had to stop at this. Damnit Cartman.